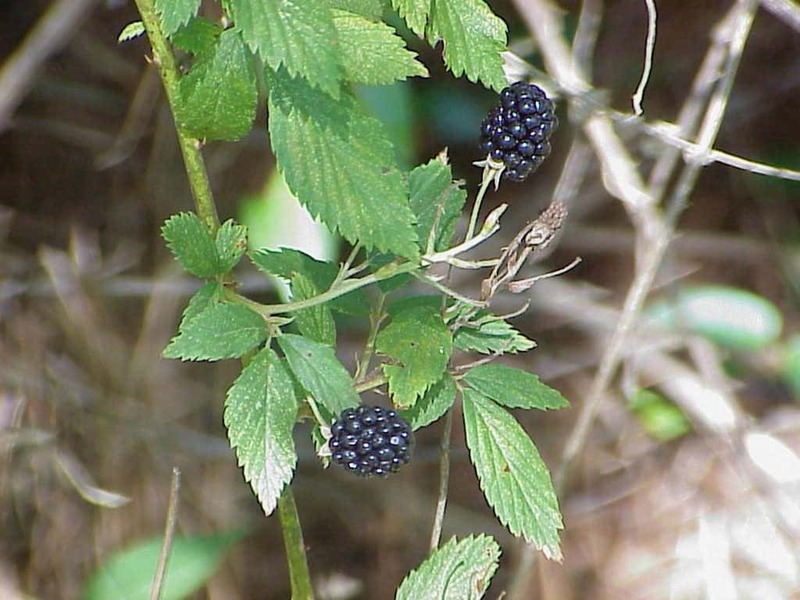 There are three species of blackberry that are native to central Florida and grow wild throughout the area. All have delicious berries for humans and wildlife. Our native Florida blackberries are maintenance free, have beautiful blooms, provide food for a variety of wildlife and also provide shelter for those wildlife. 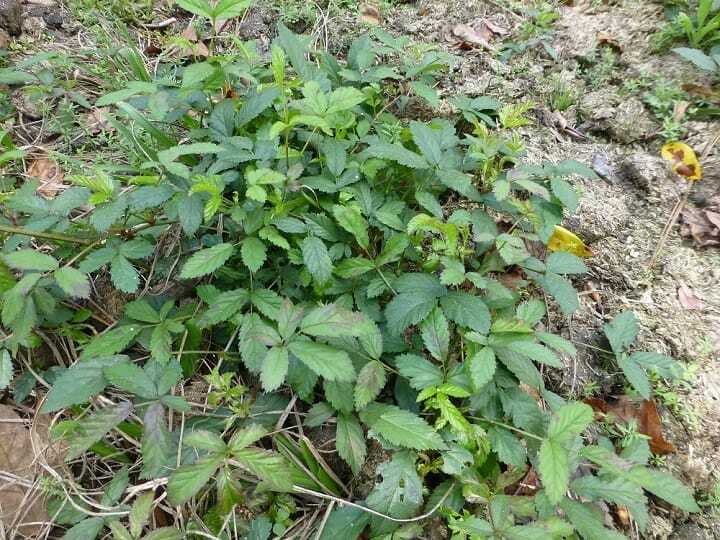 In central Florida our three native blackberries are Rubus cuneifolius (sand blackberry), Rubus pensilvanicus (sawtooth blackberry) and Rubus trivialis (southern blackberry). Blackberries are in the Rosaceae or rose family. Blackberries start to bloom in late winter and are a sure sign that spring is just around the corner. In late winter once the days start to become longer blackberries start their process of flowering and setting fruit. They continue to bloom throughout the year and slow down once the heat of summer sets in. It is not unusual to find a few blooms on the plants while the fruit is in various stages of ripening. 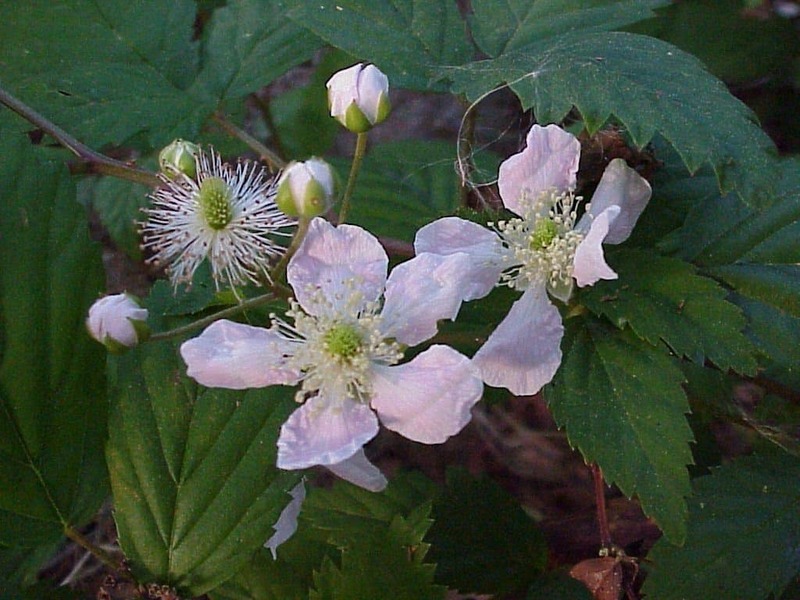 Blackberry flowers range in color from white to pink and have five petals. The small flowers are quite beautiful and in late winter, when little else is blooming, they are a welcome sight for gardeners and insects alike. The flowers are a very important source of nectar for bees and butterflies because during the late winter little else is blooming. As soon as the first bloom opens a bee will alight upon it for its first sip of nectar after a long, hard, winter of scarce nectar sources. Once the bees, and butterflies, have pollinated the blossoms the fruit starts to grow and ripen. By late spring the blackberries begin to turn red and then dark purple with a plethora of hungry residents waiting. Blackberries are one of the most important food sources for wildlife in the summer. 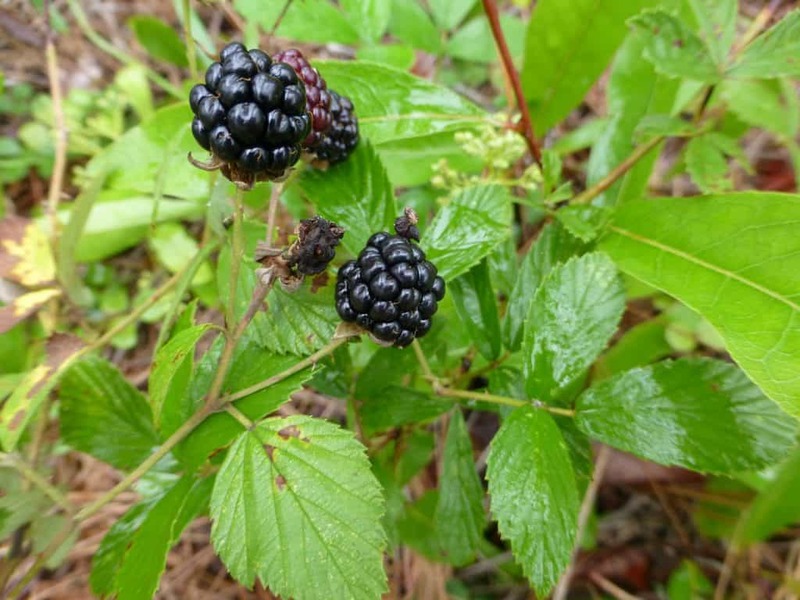 A variety of blackberry can be found in just about every habitat in central Florida. So a wide range of wildlife consumes the fruit. Fruit is even consumed on into winter when little is left except dried or damaged berries. Just about every species of wildlife enjoys, and relies, upon blackberries as a food source … from songbirds to the Florida black bear. Blackberry patches, with their thorny growth, also provide protective cover for songbirds to nest in and a safe haven for rabbits. An added bonus to the wildlife is that while it is nesting or hiding from predation it has food to snack on. Even during the winter when the plants are dormant rabbits will eat the stalks to sustain themselves. During the growing season songbirds eat the berries and rabbits eat the leaves, shoots and stalks. Deer also browse on blackberry foliage. Distinguishing the different varieties is based on habitat, habit or growing structure, and leaf structure. Sand blackberry grows as an erect shrub to about 3 feet in height. The stalks may start to fall over and join together with its nearby neighbors giving it a sprawling appearance. However, sand blackberry grows upright and not prostrate. 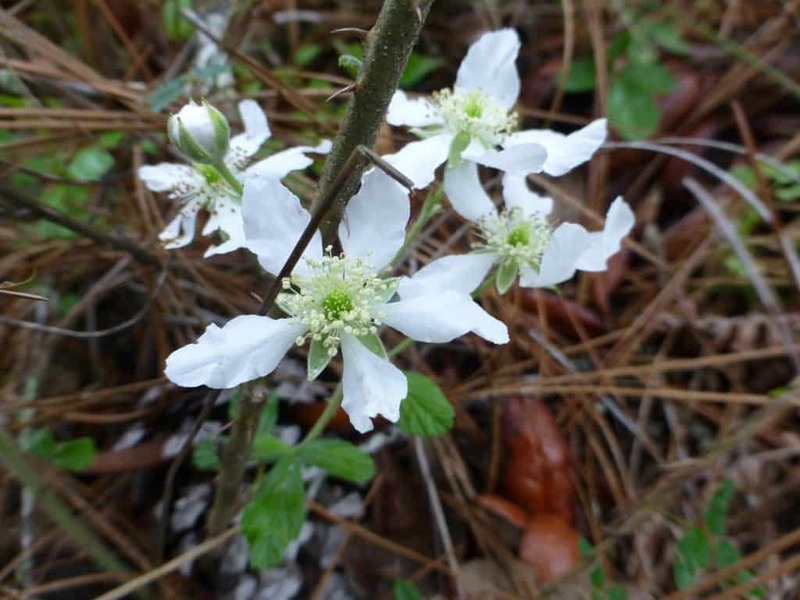 Sand blackberry grows in dry sites such as sandhills, flatwoods, pinelands, roadsides, disturbed clearings, fencerows, and thickets. The leaflets have white or grayish hairs on their undersides giving them a frosted appearance. The flowers appear in late winter and early spring. Its blooms are white and born in clusters on relatively thorn free stalks. Sawtooth blackberry grows as an erect and rambling shrub to about 5 feet in height. It does not grow prostrate and does not tend to fall over as the sand blackberry does. 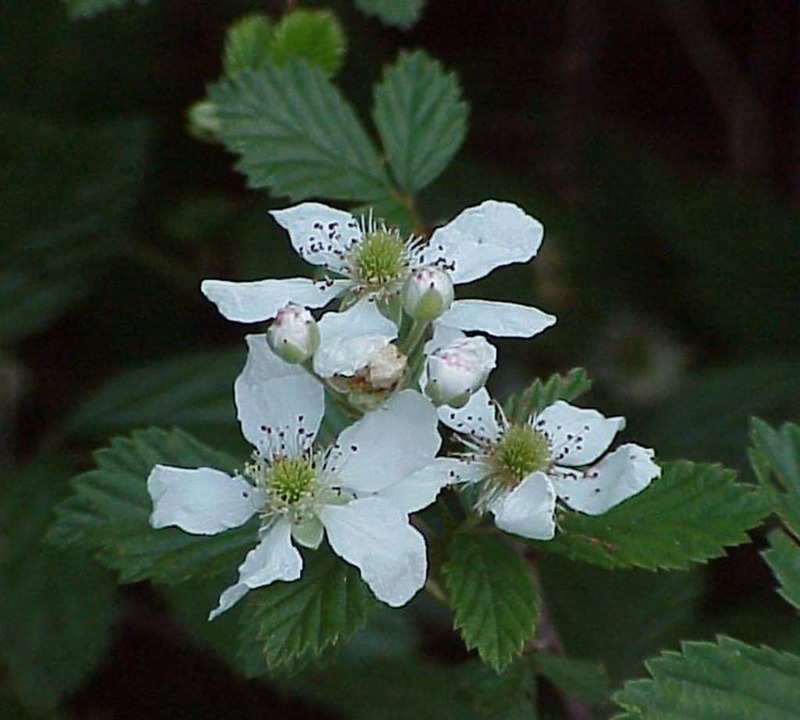 Sawtooth blackberry grows in moist to wet hammocks, pond margins, swamps, and disturbed sites. The leaflets may be smooth or hairy on the undersides. However, they do not have the distinct frosted appearance of the sand blackberry and are green in color. The white flowers appear in the early spring and are born in loose clusters. Thorns are sparse to non-existent on the flower stalks. Southern blackberry grows prostrate and spreads out along the ground. The new growth has a reddish coloring and is very spiny. Southern blackberry (aka dewberry) grows much more like a vine than the other two species of central Florida blackberries. 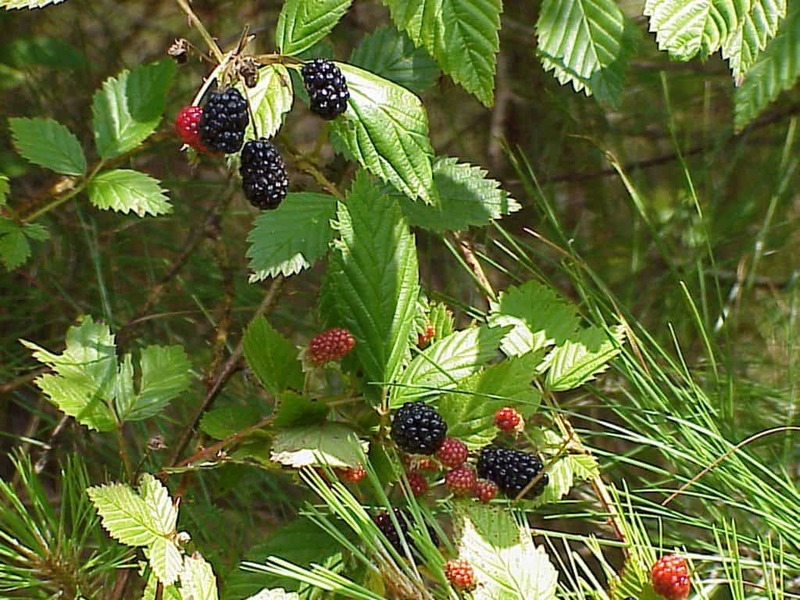 Southern blackberry grows in dry hammocks, roadsides, fields, and fence rows. Both sides of the leaf surfaces are green. The stems have robust thorns and reddish to purple trichomes (or hairs). The flowers appear in late winter and early spring on solitary stalks. Its blooms vary in color from white to pink with some being darker than others, but generally not completely white. The flower stalks are generally very spiny. 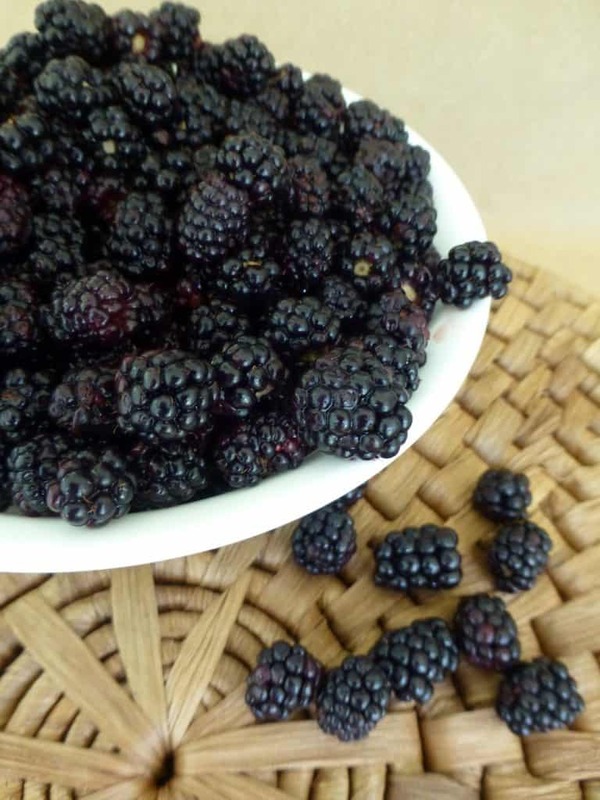 Blackberries can be propagated through transplants, root cuttings, leafy cuttings, and seeds. Transplants can be done at any time during the growing season. Be sure to trim the stalks back to about a foot in height on the transplant specimens. Place directly in the ground or a container with garden soil. Keep it watered regularly until it becomes established and new growth appears. I prefer to do transplants in the summer during the rainy season so that if I don’t get the chance to water they will most likely survive on their own. Most literature suggests transplanting during the fall when the plants are dormant, but it can be done anytime of the year. Just be aware that you most likely won’t get blooms if you transplant in the summer because it has already occurred the previous spring. For root cuttings be sure to remove all but a few of the upper most leaves so that the specimen can deal with the stress of growing additional roots without the added burden of trying to keep all of its leaves alive. Look for healthy stems, or canes, and dig some soil out from around the base and look for the whitish underground stem and roots. Trim above and below that. Cuttings are generally about six inches in length. Place these in your planting area or garden container and keep watered until established. Leafy stem cuttings are the best way to go if you need a large quantity of plants, but take the longest to become established. Take cuttings from firm and healthy stems. Keep the cuttings at about six inches in length and remove all by a few leaves. Dipping them in rooting hormone will increase the odds of how many cuttings will take root. It should take about three to four weeks for your cuttings to start rooting. Seeds should be cold stratified for four weeks. Direct sowing outside in the late summer or fall is a good option because this will mimic the natural life cycle of the plant and help to break the seed dormancy. Once the seeds have been stratified plant them in a potting mix no deeper than 1/16th of an inch deep. Cover lightly with soil and keep the seeds moist.